Enabled Bluetooth for 8-10 m range, reliable wireless connection. pair wires from your iOS / Android smartphone using Bluetooth technology. A powerful transmitter instantly transmits commands to your device without delay. Bluetooth enabled for 0-8m range, reliable wireless connection. Pairs wirelessly with your iOS/Android smartphone via Bluetooth technology. The powerful transmitter instantly sends commands to your device without delay. Which enable game action more quickly and strongly. 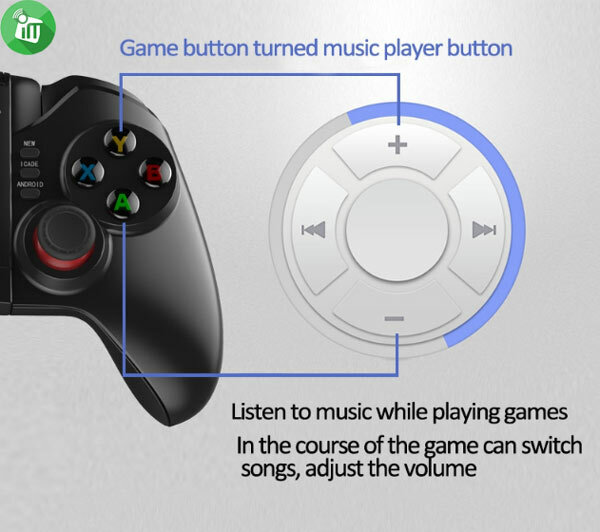 It can be used under mouse mode, like Volume+, Volume-, Play, Pause, Forward, Next. 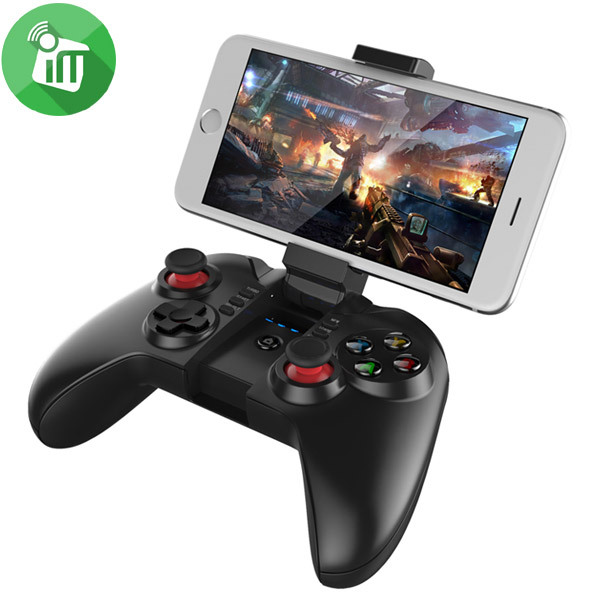 Holder can support your smartphone up to 6-inch size, making your gaming experience even more enjoyable. 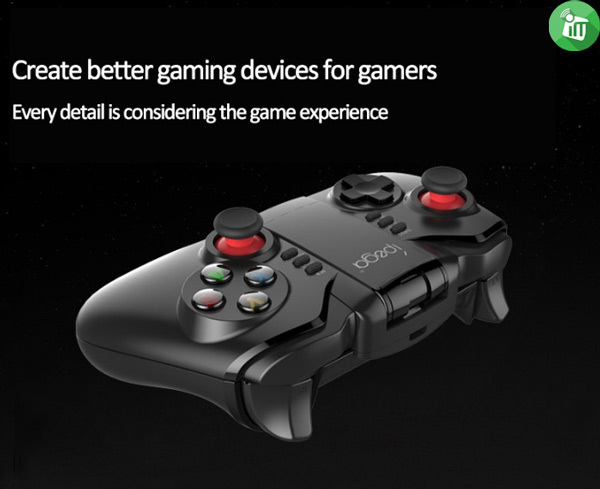 Support 300mAh battery capacity, making this gamepad can be on bakai to play games up to 20 hours on a continuous basis. 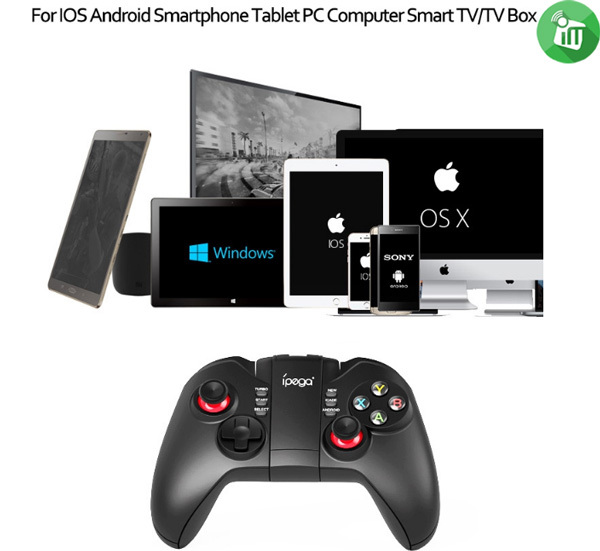 Compatible with PC / Laptop devices with WinXP / Win7 / Win8 system or iOS 7 device and above, Android Smartphone / Tablet OS 3.2 and above, Android TV Box, Android TV. ♦It support TURBO (Acceleration) function. You can enable any button with TURBO function and disable it whenever you want. 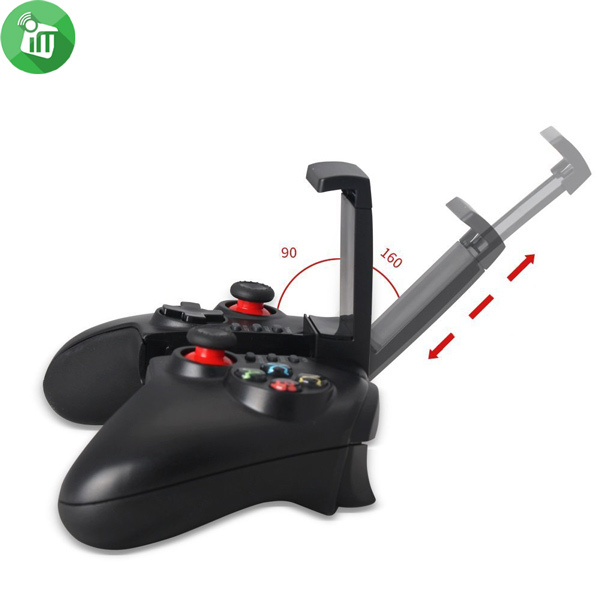 ♦It uses Polyshine 3D joystick that has better quality. 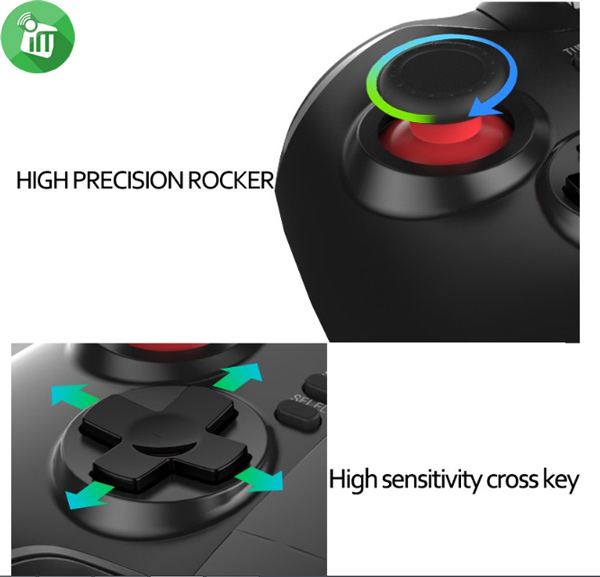 Good joystick offers you better feeling during game playing. ♦It can support more devices: Android/iOS/ MAC OSX/ Win XP/7/8/10 systems with Bluetooth function, such as smart phones / tablet PCs / Smart TVs / Set top bpxes / PCs. ♦Built-in wireless Bluetooth 3.0, control range up to 6~8 meters. 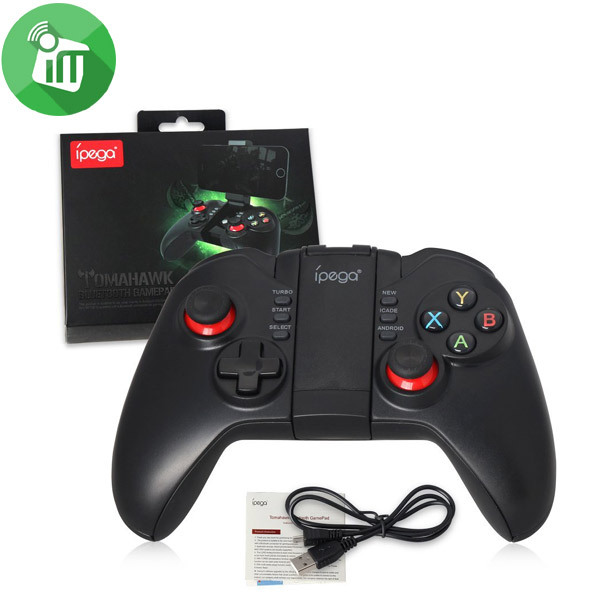 ♦Built-in rechargeable Li-battery, can play about 20 hours continuously after fully charged. ♦Energy-saving, it will enter power saving mode after disconnection. ♦Ergonomics design for comfortable and enjoyable play. ♦Ultimate flexibility, precision, comfort, easy to control. 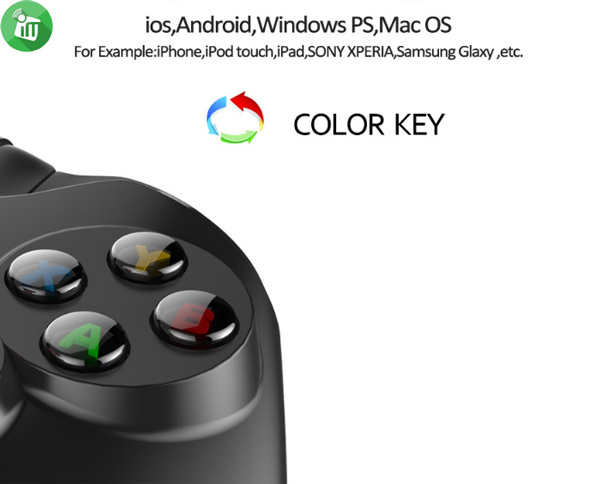 ♦Black color available Supports the vast majority of games: App store: such as Gunman Clive, Helium Boy, League of Evil League of Evil 2,Muffin Knight Free Stardash, Temple the Run, and so on. 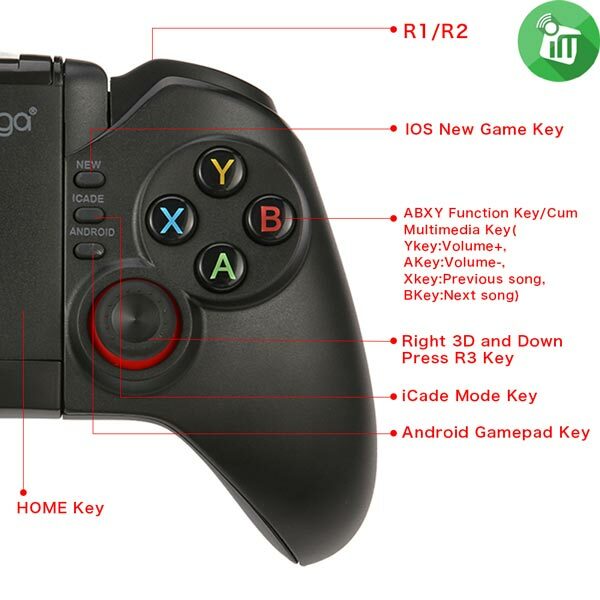 Android: Wild blood, Dungeon Hunter, Zombie, FC simulator, Shadow gun, Riptide GP, etc. 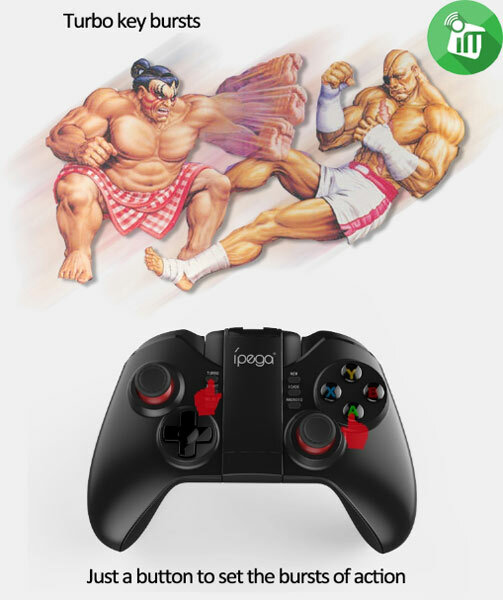 Exclusive iPega game lobby only for Android.